If you told me when I was a graduate student in poetry that, 20 years later, I'd be addressing someone called a "Chief Risk Officer" and his executive leadership team at one of the largest financial services institutions in the world, sharing strategies and insights on innovation and risk management... 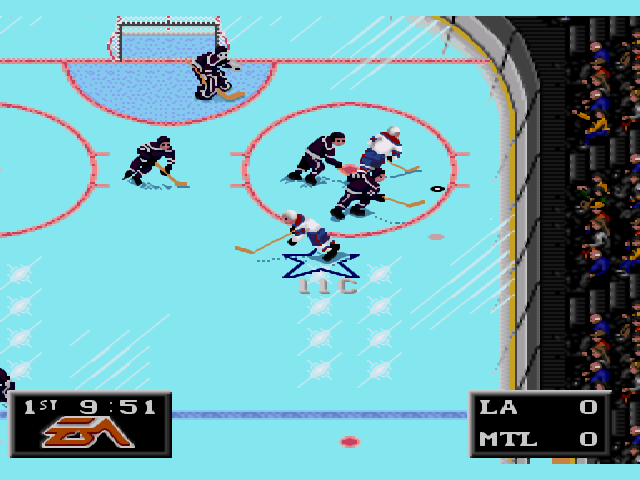 I would have told you to please not interrupt me when I'm playing NHL Hockey on my Sega Genesis. Quite a risk, this executive took in handing me the mic for an hour this morning! So there I was, bright and early, kicking off my talk by offering common ground between the risks a big bank takes and the risks media companies (like the one I work for) take. 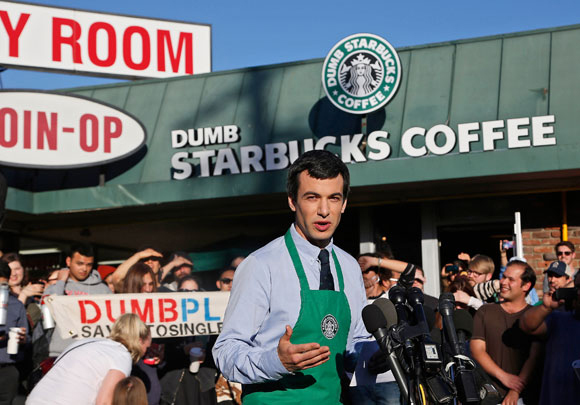 I led with a clip from Comedy Central's incredible series "Nathan For You," now wrapping up its second season. If you haven't seen the show, it's so worth checking out here. In the meantime, here's a segment from the show's already famous "Dumb Starbucks" episode, in which Nathan attempts to mitigate risk by implicating a befuddled "attorney" in his scheme. Comedy Central's programming, lauded recently in this great piece on Vox, is filled with examples of a network taking risks -- and winning because of it. From Key & Peele to Drunk History, not to mention the daily fearlessness of Jon Stewart, "the channel always has something worth watching," says Vox writer Todd VanDerWerff. Yes. And that's because there's nearly always something it bets on, something at stake, something not exactly safe.Like putting a poetry major in front of a bank's risk management team.